I just want to send out a big ol' group hug to everyone who sent a sweet message after my last post. We are back from our cruise and feeling fine! Welcome back. I hope you and your hubby had a wonderful time. I can't wait to see your home in the tour and I will definitely visit some of the other homes featured. Welcome back, Stacey! So glad you're "feeling fine!" I hope you had a wonderful time. Hi Stacey, welcome back. Hope you had a wonderful time. I bet it was nice to come home to a bit cooler temps. Looking forward to seeing your home tour. Welcome back! Glad to hear you had a good time. Welcome back! Hope you are enjoying the cooler weather as much as I am. I have friends in from out of town for Canton (yesterday and today). We REALLY lucked out. Looking forward to seeing your fall home tour. Welcome back! Hope y'all are enjoying this cooler weather. We were in the lower 60's this morning and the line at Starbucks was out into the street. I love Fall tours. Thanks for the links! Stacey, so glad you had a nice time. Isn't it wonderful to just get away at times? Love it. I bet your trip was amazing and super restful! I can't wait to check out the decor. I love to peek! Welcome back and I am with you I will have to play catch up on the homes. Thanks for sharing. I'm so glad you had a nice vacation and were able to enjoy the trip! Vacations are relaxing and exhausting all at the same time...so much to catch up on when you return! 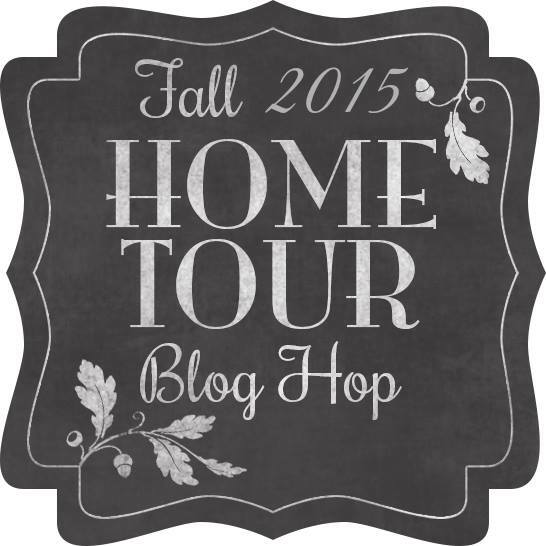 BUT, you've come back to a lovely blog hop and I can't wait to see your fall decorations! Have a wonderful weekend! Hugs! Glad you had a wonderful time! I look forward to the tour. I think I missed your last post-going back right now. Hi Stacey! I hope you two had a wonderful time and hope you'll tell us about it! Rest up now and I'm looking forward to the home tours. I love this stuff! Stacey, I was at the computer when your question came in. The one shown in the picture is from 2012....I keep it out for the soft coloration of the cover. Yikes. The new one is The Cottage Journal and is fabulous. I must admit I have magazines scattered everywhere throughout the house and it is hard to keep them straight. Looking forward to seeing your fall decor along with the others! Welcome home! I'm catching up too..been on a very long break. Hope you took some pictures to share of your vacation! Your comments still don't go to my email so I have to respond here. Thanks for the sweet comment. Those little pumpkins are adorable. Steve laughed that he was picking out my decorating supplies for me when he bought them for me on his grocery shopping trip. 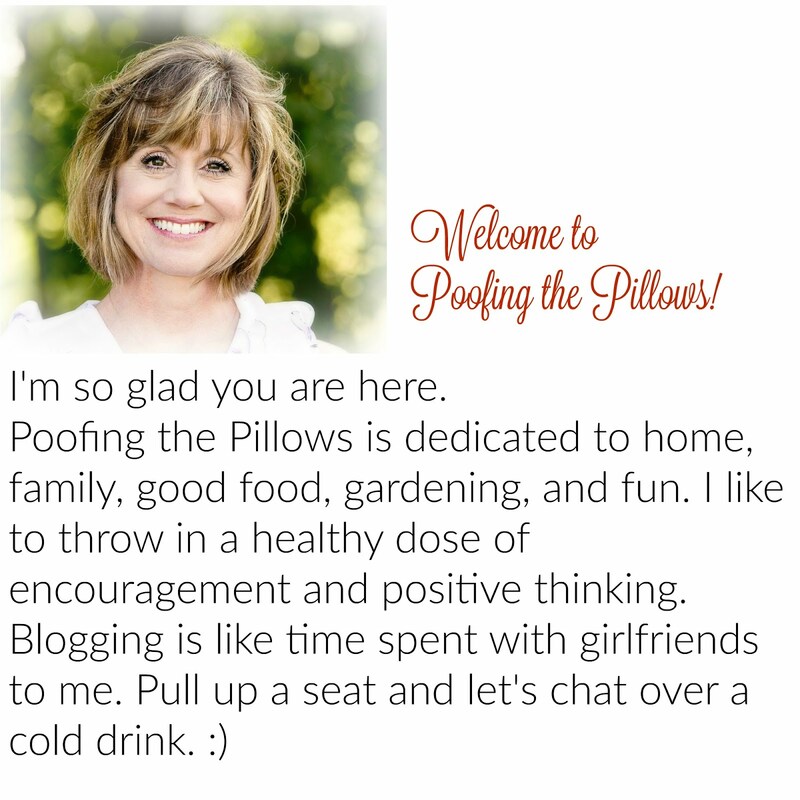 I can't wait to check out the blog hop. I love your fall touches! I agree that food plays an important role this time of year. I love soups and stews!